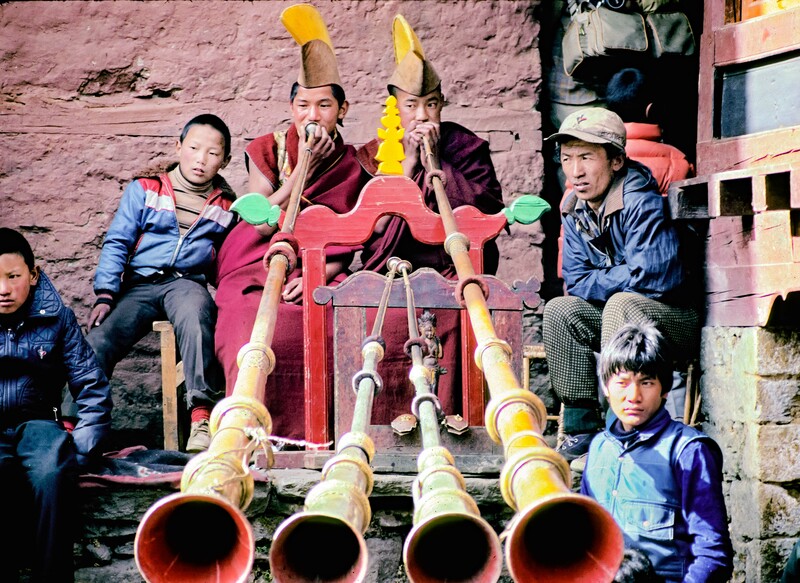 Nepal, Mani Rimdu, Horns, 1983 - These impressive horns make a deep, bellowing sound. One night above Tengboche monastery (in the Solo Khumbu region of Nepal), the horns blew, resounding off the walls of the immense valley where Tengboche lies. Tengboche, where this photograph is taken, is arguably one of the most fantastic places on earth, especially during the festival of Mani Rimdu.